The crystal-clear waters of Idaho’s Salmon River are the focus of this journey through Idaho. All told, you’ll travel from Idaho’s biggest city to one of its tiniest towns, and from the wilds of the Main Fork of the Salmon River to the resort community of Sun Valley. This is the best of Idaho! Spend your first night in the heart of Boise, where you’ll meet your river guides and prepare for a quintessential Idaho journey. Five days on the river has been known to be transformative, with nothing much standing between you and pure, raw, nature. Experienced river guides know how to make your days safe and fun and your evenings rich and relaxing. Prepare to laugh, marvel, reflect – and change. Sun Valley and Stanley complement each other well, with distinct landscapes and lots of opportunity for fun. In Sun Valley, hike, bike, travel by gondola, soak in natural hot springs, horseback ride across gentle hills, golf, swim in the resort pool, fly fish, peruse galleries and shops, and dine at superb restaurants. A historic ranch retreat sits nestled in the Sawtooth Mountains offers days of fishing, hiking, horseback riding, mountain biking, swimming in natural springs, rock climbing, and paddling on nearby Redfish Lake. Evenings offer delicious home cooking and a fabulous front porch for a quiet sunset. 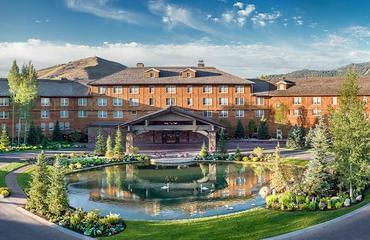 Pack your river sandals, hiking shoes, and cowboy boots for a well-rounded Idaho adventure! Worry-free whitewater: Indulge in one of North America’s most spectacular whitewater rafting trips, and one of the very best for beginner to intermediate rafters of all ages! Expert guides ensure everything has been thought of, so you’re only prerogative is enjoying the splashy fun and stunning scenery. Your own private Idaho: Okay, there will probably be a few others around, but it’s sure to feel like you have this stunning slice of outdoor heaven all to yourselves. Hot pot heaven: Few places in the world offer such an abundance of natural hot springs ideal for a soothing soak – and none can boast the same combination of easy access and stellar mountain scenery! Partake in this most-quintessential Idaho activity anywhere along your route, as there are options near every stop! Fly into Boise and check in to the Red Lion Downtowner, with easy access to both, the vibrant downtown area and the Boise River Greenbelt. Tonight, a river trip orientation prepares you – and gets you excited for – your Salmon River rafting adventure. Gear up and sleep well! Soar over the Sawtooths in a small plane from Boise, landing in the tiny town of Salmon, Idaho. From there, meet your guides and fellow rafters and head for the put-in, where you’ll launch on a four-night, five-day whitewater wilderness adventure down the Main Fork of the Salmon River – the River of No Return!Your guides, the wilderness, the fresh air, and the Salmon River offer up pure, old-fashioned fun! The Main Salmon River is characterized by a perfect blend of fun whitewater, stunning scenery, remote wilderness, and picturesque white-sand beaches. The water is warm and excellent for swimming. Natural hot springs dot your way, and wildlife sightings are a given! Each day brings fun on and off the river, with opportunities for kayaking, stand-up paddle boarding, swimming, beach volleyball, hiking, and relaxing. Each evening, dine on incredible riverside meals, prepared by your guides, before crawling into your cozy tent – weary with fun in the sun and eager for more! Glide along one last stretch of river before reaching the take-out and flying back to Boise. Pick up your rental vehicle, then make your way to the iconic ski town of Sun Valley, the nation’s first destination winter resort. Stay at the Sun Valley Resort, where it all started, as evidenced by the wall of black and white photographs depicting some of the first resort fans – Ernest Hemingway, Clark Gable, Gary Cooper, Ingrid Bergman, Lucile Ball, Marilyn Monroe, and the Kennedy family – to name a few!Each day, choose from myriad activities – excellent hiking, mountain biking, fly fishing, natural hot springs, trap shooting, and resort activities, such as golf, tennis, swimming, and even ice skating. There is a robust trail system along the Wood River, and the neighboring town of Ketchum is run to walk around. Drive over Galena Summit to the tiny mountain enclave of Stanley, Idaho, situated near beautiful Redfish Lake and the headwaters of the Salmon River. 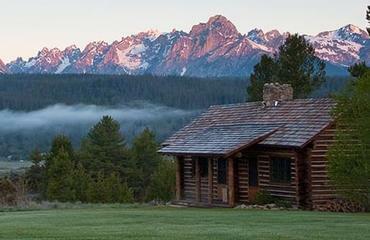 Idaho Rocky Mountain Ranch is your wonderful retreat, offering rustic elegance in the wilds of Sawtooth National Forest. 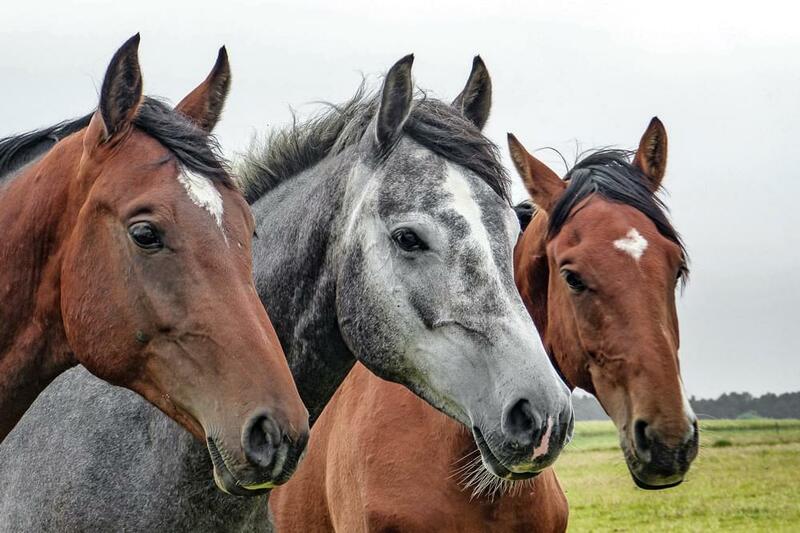 On the ranch property is a rustic swimming pool, horseback riding, and trails for hiking. Superior mountain guides can take you out for a day of rock climbing, or on a guided hike high up into the Sawtooths. Day’s end brings delicious meals, cozy common areas, a front porch with a view, and an inviting cabin to retreat to at day’s end. Travel along the Ponderosa Pine Scenic Byway en route to Boise, the perfect farewell before catching flights home. 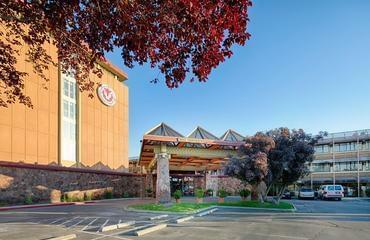 Conveniently located near the Boise Airport, the Red Lion Downtowner is the perfect option for a quick stopover. One of the only full-service hotels in Boise, the Red Lion offers 182 guest rooms with plush pillow-top beds, free Wi-Fi, and private balconies. There is also a fitness center, an outdoor pool, and a free airport shuttle for those guests needing to get to or from a flight. 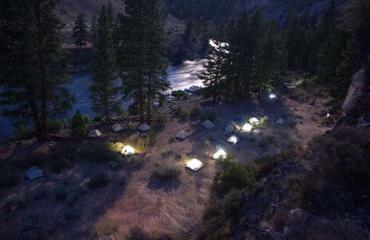 Stay in the pristine wilderness on your rafting trip down the Salmon River! Opening their doors in 1930, The Idaho Rocky Mountain Ranch combines the living history of the Old West and the serenity and peace of their 900-acres of beautiful terrain. Located in the Sawtooth National Forest, the largest protected wilderness area in the continental US, the ranch offers an opportunity to truly step away from the hustle and bustle of life. They provide an array of activities including hiking, horseback riding, mountain biking, fishing, whitewater rafting, swimming in the natural hot springs or sitting outside and enjoying the serenity and beauty of the property. At the end of each day enjoy a wonderful home cooked meal and relax by fire before you head out for another day of adventure! You have the choice of lodge rooms or cabins that both offer private bathrooms with a shower or deep bathtub, plush bedding, and electric heat. With a maximum of 50 guests you are sure to receive impeccable service and have a memorable stay at the ranch.